Arthur is mobile! I wouldn't quite describe it as crawling. The kids refer to his mode of transport a caterpillaring. His little bottom sticks up in the air and them he slurps himself forwards. Very caterpillar like and quite entertaining. In fact so caterpillar like that Ingrid felt the need to perform all 3 verses of Fuzey Wuzey Caterpillar for two random old biddies in the doctors surgery today. (Another bout of tonsillitis for poor ingrid). 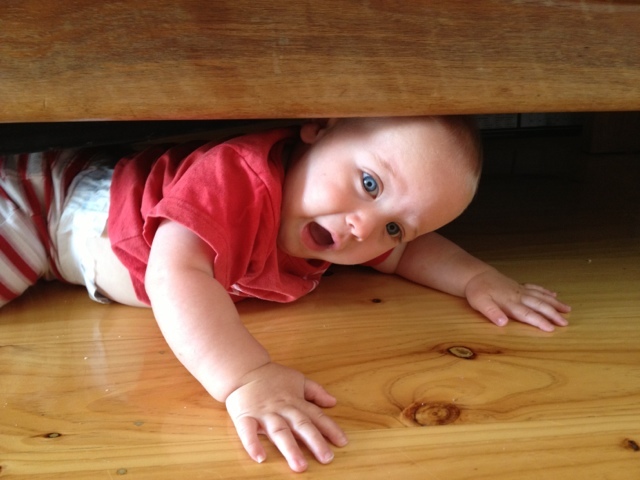 The caterpillar hump appears to be quite the mode of transport and in fact Arthur found himself stuck under the couch today. Not a bad effort. In other breaking family news it seems the tooth fairy will be making a third collection from our household. 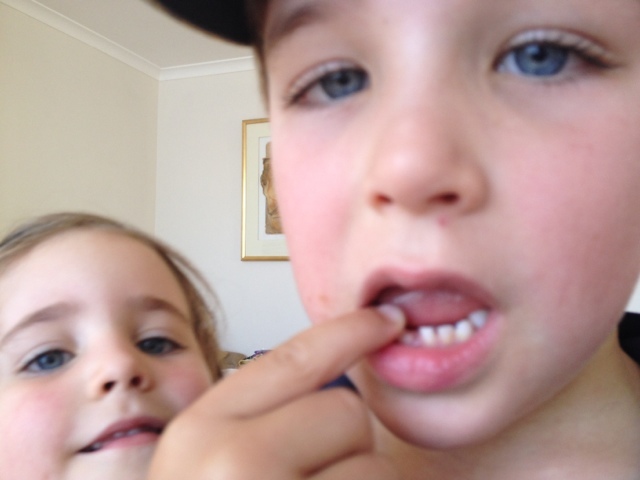 Poor George-he lost his first tooth after a head clash with his little sister on the jumping castle at a mates party. He lost his 2nd tooth in an apple at school. Mrs B kindly popped it in a special tooth box (how's that for an organised teacher!) and George did a George and put it.....somewhere. Luckily he drew a fantastic map and the T.F. Left a gold coins donation in return. 2 days later the fang was discovered at school!!! Luckily the T.F. is the hard working type and swung by our place to collect the goods that night! Here's hoping she gets a little more value for money this time! !